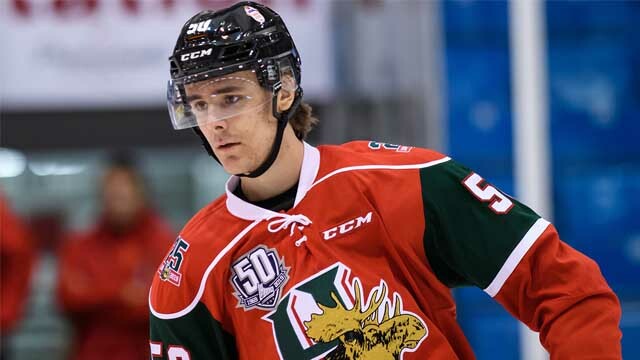 Toronto, ON – The Canadian Hockey League today announced that forward Raphael Lavoie of the Halifax Mooseheads is the CHL Player of the Week for the third week of playoff action ending April 7 with nine points in four games including six goals and three assists with a plus-minus rating of plus-8. 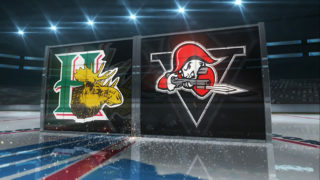 The Mooseheads right-wing began his week with a three-point effort versus the Quebec Remparts in Game 6 that ended in a 6-1 final to even the series and earn him second-star recognition. 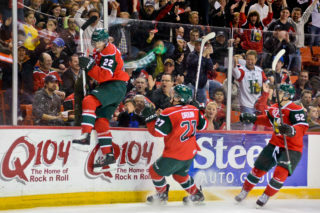 He then followed up that performance with another point in the series-deciding game, a 3-1 win for the Mooseheads. 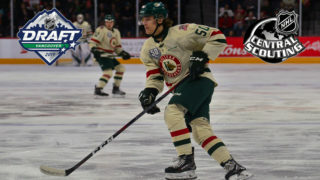 Now in the second round, Lavoie has kept up his scoring touch against the Moncton Wildcats, picking up two goals and one assist and a 5-3 series-opening win for the hosts of the 2019 Memorial Cup presented by Kia. Lavoie’s strong play continued into Game 2 as he added another two goals en route to a 3-2 victory and first-star honours. 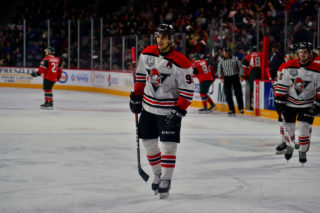 In all, the native of Chambly, Que., has recorded at least one point in all nine playoff games and sits atop QMJHL postseason scoring with 18 points. 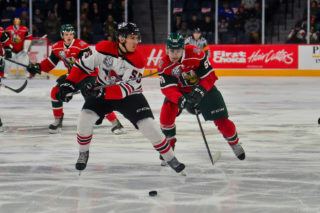 The 2018-19 campaign – Lavoie’s third season with the Mooseheads – saw him record his best season to date, as he finished with 32 goals and 41 assists for 73 points in 62 games as he tied for third in team scoring. Ahead of the 2019 NHL Draft, the 18-year-old was ranked 13th among North American skaters in Central Scouting’s midterm assessment. 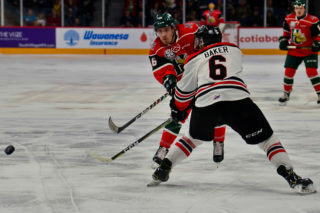 Also considered for the award this week was Dallas Stars prospect Tye Felhaber of the Ottawa 67’s, who notched four goals and two assists for six points in two games versus the Sudbury Wolves in the OHL Eastern Conference Semi-Final, as well as Prince Albert Raiders forward Sean Montgomery, who recorded four goals over two games to help his team to a 2-0 series edge versus the Saskatoon Blades in the second round of the WHL playoffs.